To the West: The Ocean! *ADDED: if the person who does not post a new photo within 48 hours, anyone may hijack the tag and start a new photo. I'll start with an easy one to get the ball rolling and hopefully entice you all to get out and Tag me! Nobody but me lives in the LB/South Bay and wants to play tag? Or it it just because it was during the week? Here's hoping someone gets out and tags me this weekend! OK, I'm an active participant! 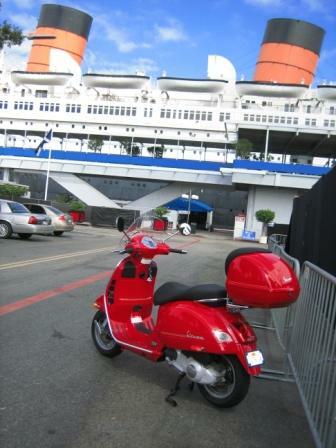 I'll give this "tag" game a try ... here's a pic of my Burgman at the Queen Mary. I've found the easiest way to post photos is to email them. At the top of any topic is a little envelope in the upper right-hand side corner of the topic. If you click on that it will bring up an email address that you can send a photo or reply to post to this string. Give that a try. Your message and photo will appear within minutes. A brilliant feature the moderator has built in! That's how I get all of my photos on there. Let me know if you still can't get it on. 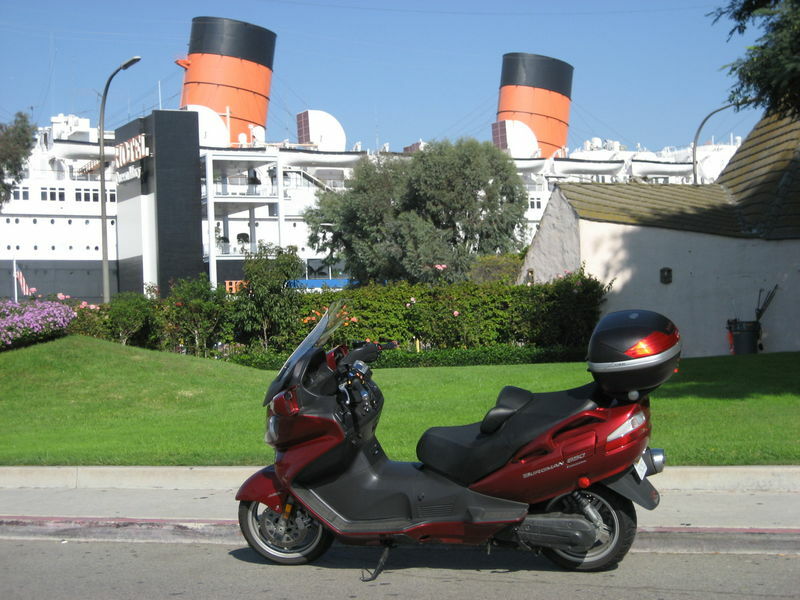 Don't forget once you post your photo of the Queen Mary, you are "It" and you get to post the next Tag for us to go find. I can't wait! Thanks Robyn, I'll give the email option a try. Oooooh..... Good one! I will have to look for this one. I may need hints if I can't find it... Hopefully someone else will jump in too! Good job! Thanks for playing! 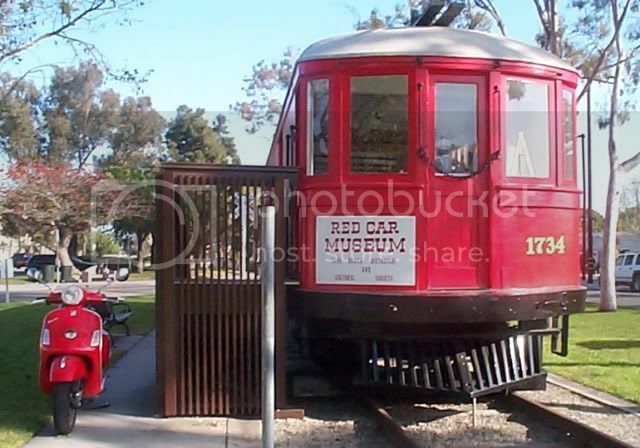 Here's my pic of the Red Car Museum on Electric Avenue near Main Street in Seal Beach, CA. Even though it's a different angle, I'm pretty sure it's the same location as starvn4speed's. starvn4speed - want to go get another tag pic? Since I'm the OP, I'm just glad someone is playing. We can his tag stand, if you want to post the next tag, we can keep this game going. I'm ok with a few minutes outside the boundaries, just didn't want to encroach into OC. I vote: let's play on! Yes, you identified it ks7877 ;o) Sorry if I didn't follow the rules ... I live on the border of Long Beach and Seal Beach and didn't pay attention that I crossed the border! Thanks for giving me a break, Robyn ... my humble apologies. No worries Ken, I'm just happy you joined in the fun! Do you want to post another tag or leave it to ks7877? We'll leave it up to you- let us know! Good job, let's play on! I'll try again ... in LB! I'd like to try again. I plan to go out this afternoon and find something in LB and post it later today. I just couldn't make it up to LA to play with the Hollywood folks, and was looking for something closer to home. Ok, 48 hour "rule" will apply! Ks7877- you'll have 48 hours to post the next tag- if not, anyone can "hijack" it with a tag of their own. Cool? That will keep us in the game. 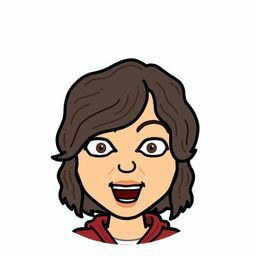 . . .you'll have 48 hours to post the next tag- if not, anyone can "hijack" it with a tag of their own. Cool? That will keep us in the game. . . I think that's a great rule suggestion to keep the game moving! I'll defer to starvn4speed this time though. He said he'd like another shot at it and I think everyone's entitled to at least one Mulligan. OK? Looking forward to this thread picking up some speed (so to speak). guys, you can do it! Shweet! I like your enthusiasm, Ken! I was saying that I thought that would make a great tag. I will try to leave for work early tomorrow, so I can get it. Exellent! Some friendly scootin' competition! Getting dark, in a windstorm! Made it! Making things a little harder now! Scooter Tags on MV and that seems to be part of the fun). whoa, that picture brings back memories. 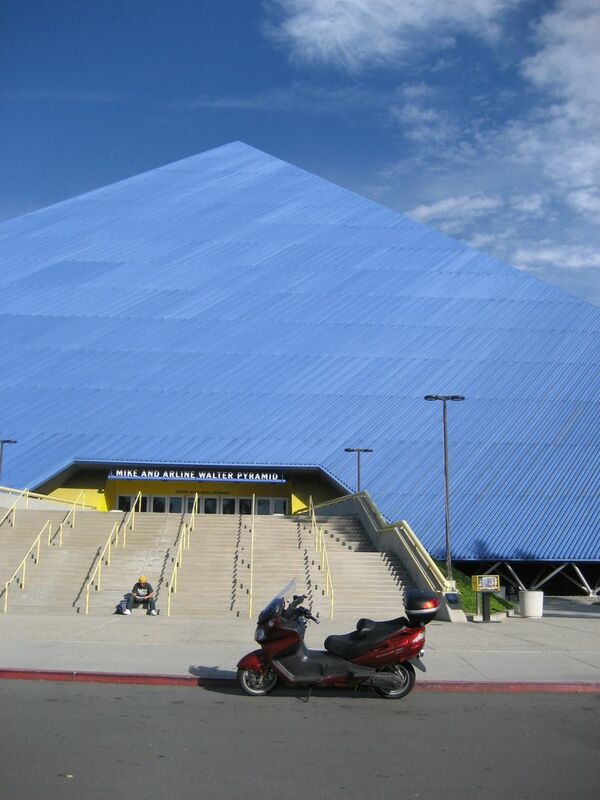 When I was in college, I remember a bunch of us drove our cars up there and took some pics. Does it have chain barriers now to prevent cars from doing that? I didn't get close enough to notice... but I can actually see chains in the picture behind my scooter. haha.. won't give it away. Just laughing at myself at how close we got to it with our cars. Like less than 30 yards away. Glad we didn't get arrested that night. This makes me laugh - it's the same location I was gonna post! (I have a shot from last year's Orange Crush ride.) But I don't have another tag location and I won't be able to get up there for a while. Go get it, Ken! 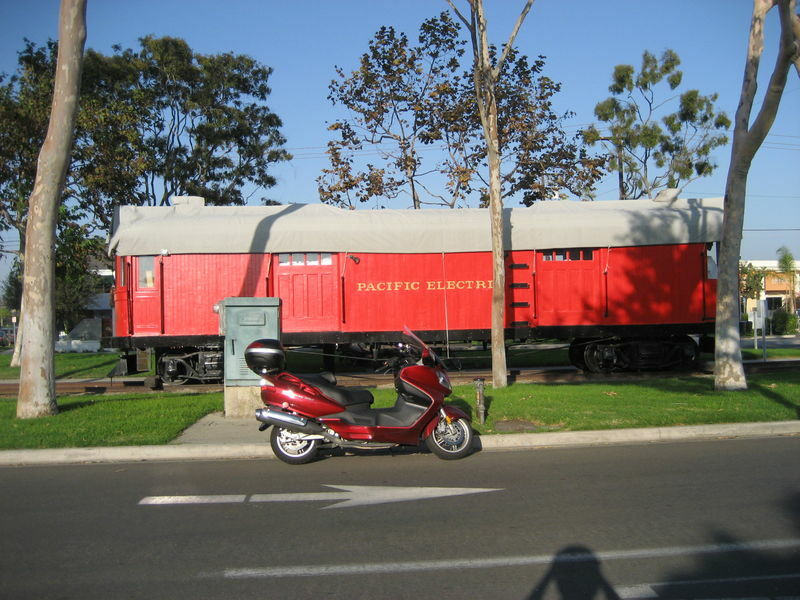 I figured that you lived in South OC or North SD.... I see you playing there. Matt had me nervous that you'd be jumping in so I figured I better brave the windstorm! LOL! I was peaking at your profile and saw that you were retired, so I also figured you may have more time to ride than my humble 2 mile commute back and forth to work, and weekend jaunts..... I guess I can breathe easier now! I think you should have to go "get" the tag, not use a photo you have laying around..... is that how you are such a scooter tag maven? You just have photos of all over Southern California? This should be fun! 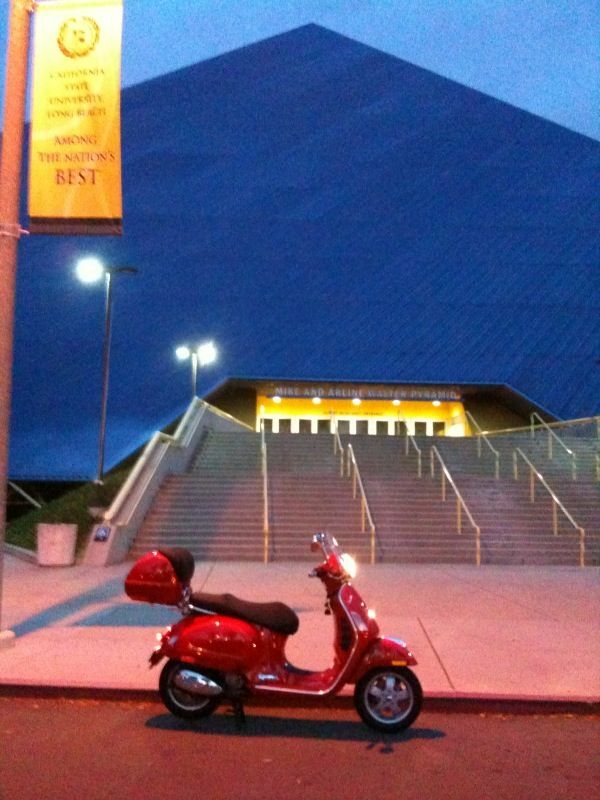 Holla when you are in the LBC- we'll go get some coffee and scoot! Bummer Ken, I hope everything is ok. Maybe I'll try to entice the LB gang to play on Sunday. "You can ring my bell...ring my bell"
My Mother passed away on October 29th and we had her funeral yesterday ... needless to say, I was MIA for awhile. 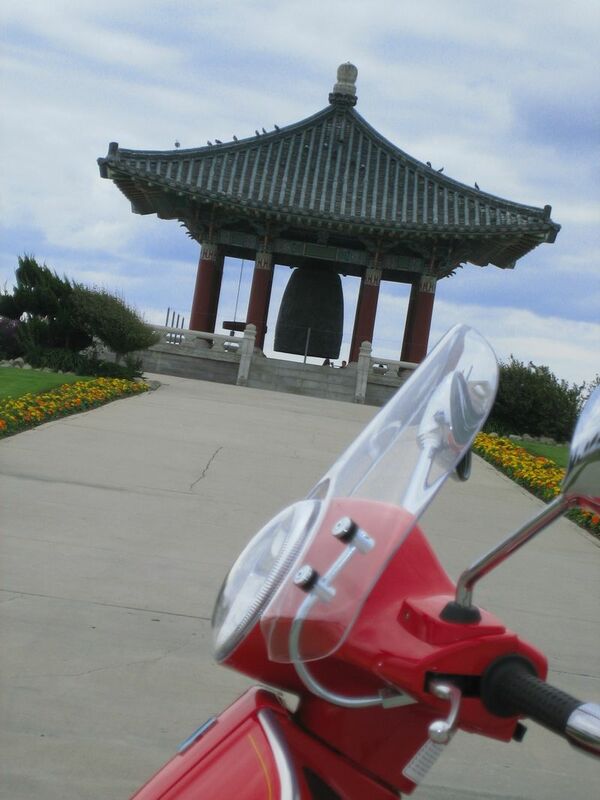 Anyway, I was able to get out and scoot today and went to where I think your tag site is. I'll post up in a minute. Here's a new one ... might be more difficult! but am glad you are back in the game! I have no idea where that is! I will consult my LB expert! I may need a clue... Sunday and Monday are my days off, if I don't get it by then, I'll have no daylight hours... any clues? 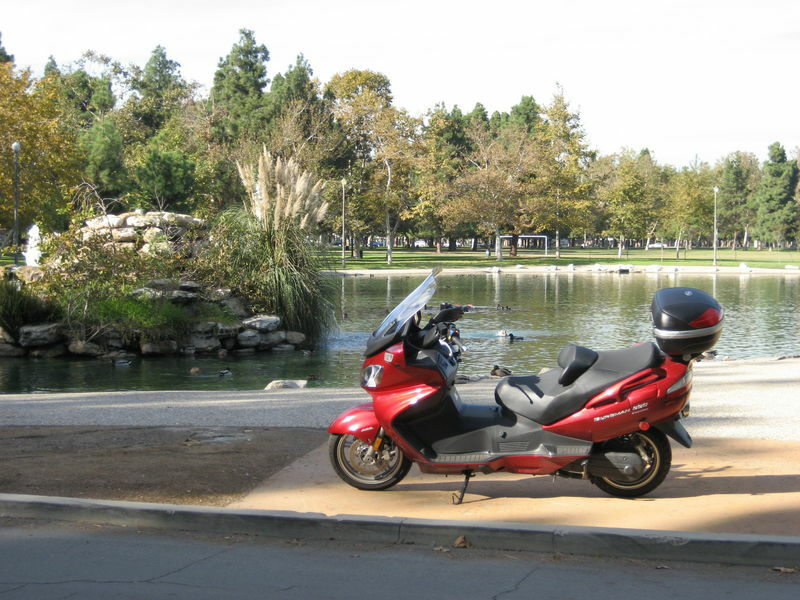 Hint: It's a large pond, not a lake, lot's of ducks, geese, and other birds just love it here. You can see it from the main boulevard that passes by. More hints if you need it ... let me know. 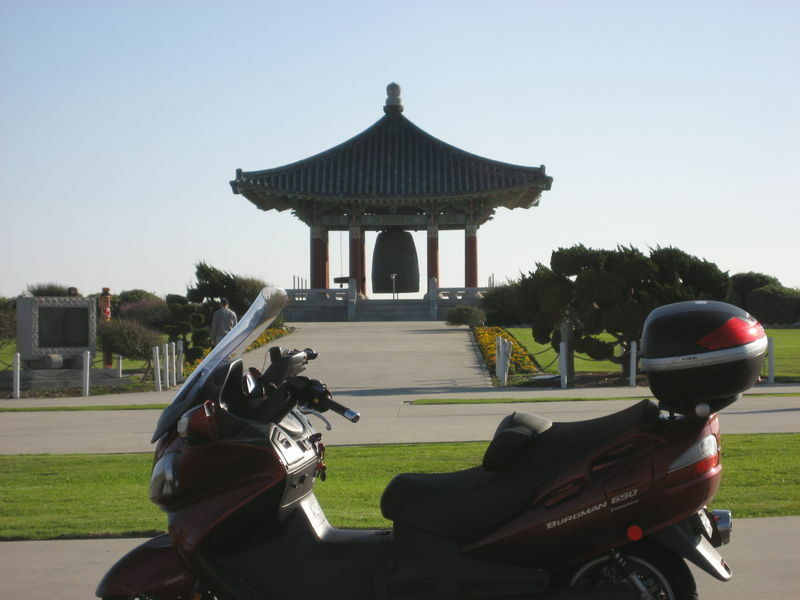 Another hint: It's located on the east side of Long Beach. 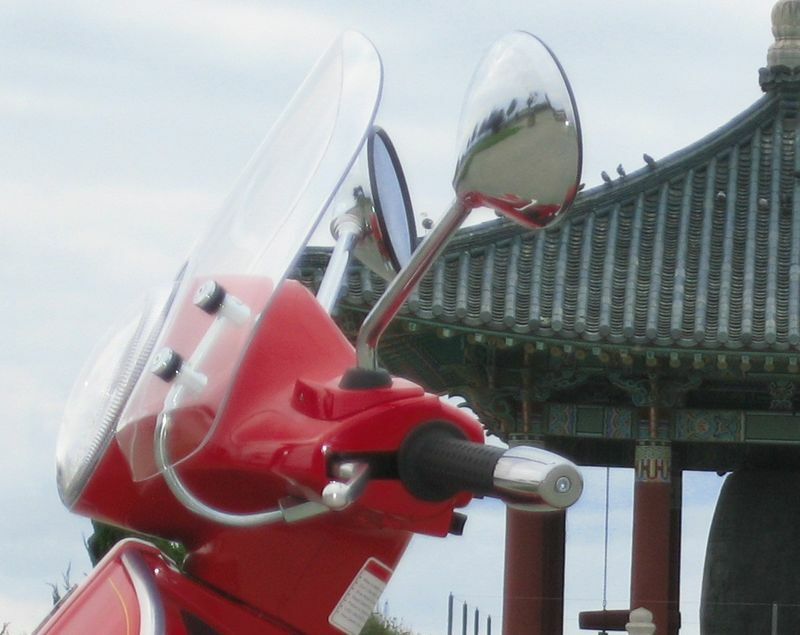 I found it, but wasn't on my scooter. Will try to tag it before work in the next day or two.... Stand by!